During the late 1950’s and early 1960’s a young Andrew Hogarth enjoyed watching the black and white western serials beaming into his home on an Edinburgh Housing Estate. Each weekday evening on prime time television shows like the Lone Ranger, Bonanza, Cheyenne, Rawhide, Have Gun Will Travel and Bronco inspired the young Scot to develop a passion for the history of the American West. 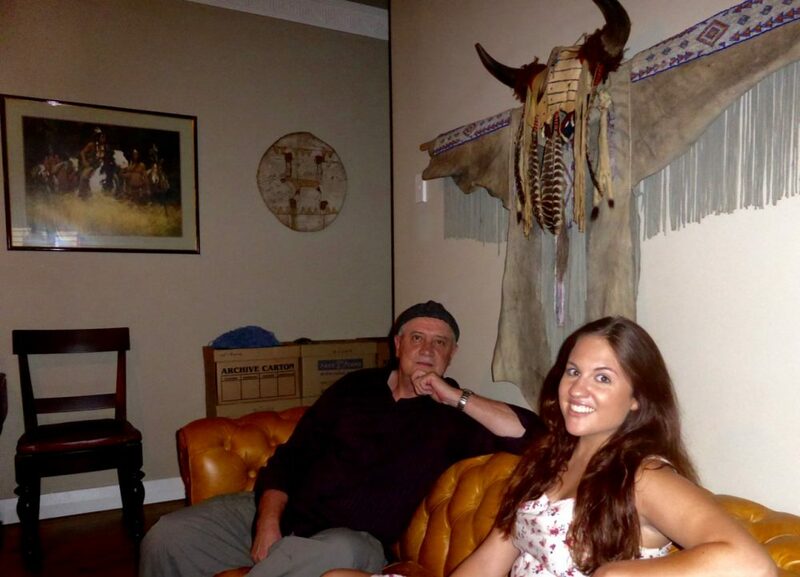 Olivia Bratsanos meets up with the internationally renowned artist-storyteller at his home in Sydney Australia in late March 2016. Her driving force was to find out the reality of Andrew Hogarth’s thirty-two year adventure of travelling the Great Plains of the United States. She was also excited to see if The Great Plains matched Andrews Expectations of the Western serials watched in his living room on the housing estate all those years ago. This interview depicts over 30 years of intriguing story telling through the eyes of Andrew Hogarth. 1. 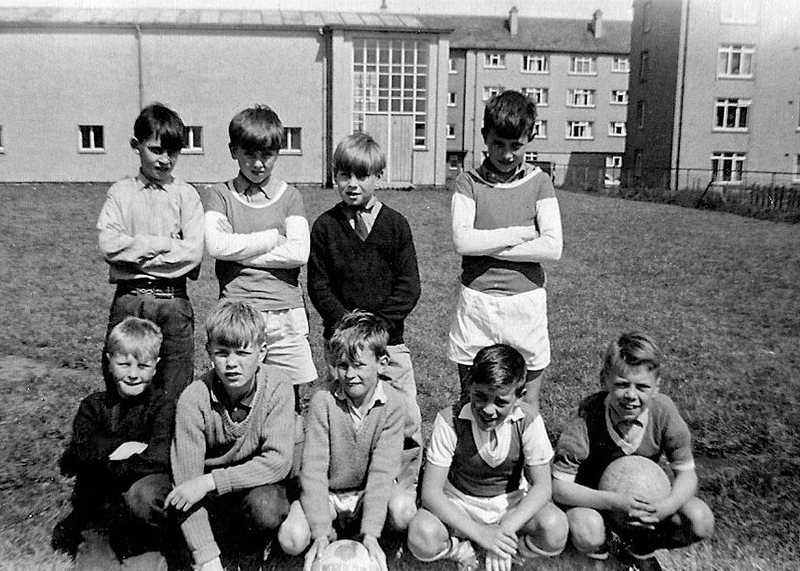 What was life like growing up in the late 1950’s and early 1960’s living on a council housing estate on the outskirts of Edinburgh Scotland? We have spoken about your dark upbringing briefly in the past. Can you tell the readers now what your relationship was like with your parents as a young boy and how watching Westerns on the TV allowed you to escape this harsh reality? It was really tough trying to survive along with two thousand other marginalised families on the outskirts of Edinburgh in the mid to late 1950’s. The Second World War was only a decade old and people were still finding it hard making ends meet and feeding their families. Alcohol fuelled violence was rife and as a young child connecting with the grown-ups was difficult at the best of times. Both my parents worked long hours and quality time with the kids was not high on their agenda in those times. I was lucky that I let my imagination run into over drive and found personal excitement in the western serials and the science fiction series Flash Gordon on television. Plus I would hang out with the other kids in my street always trying to have some fun but trying to stay away from serious trouble. As for primary schooling it was just a blur and somewhere to go and get some peace and quiet. 2. It must have been an exciting time in the printing industry when litho negatives and printing plates superseded the tried and tested cold type and the compositors. How did this impact you as an artist and was this the beginning of something new for you? I suppose my artistic days started at Norton Park High School when I was twelve years of age. I enjoyed technical subjects, the Arts and English and passed all three in my Schools Certificate. Soon after leaving school at fifteen I managed to get a five-year Apprenticeship at P.E.C. Barr’s Printers in the Leith Docks an area of Edinburgh. I actually worked the old tried and trusted Heidelberg Cold Type Printing Press for six months before flying down to Kodak in London for a course on how to work with the new litho negatives and printing plates. Over the next five years I designed artwork and layout from the IBM Golf Ball Head typing machines. Then it was shooting the negatives on the industrial camera and preparing the printing plates for the presses. I became a sort of Jack-of-all-trades and while attending day release at Napier College of Science and Technology for three years I was thrilled to pass my City and Guilds Graphic Reproduction Certificate. This was no mean feat, as the world had now become a small place regarding potential employment opportunities in the printing industry. 3. After living for four years in New Zealand and Australia on return to Edinburgh what did you think of the hometown lifestyle when Prime Minister Margaret Thatcher and her Conservative Party started to wield the axe on employment and jobs at the start of 1981? Did this have an impact on your life? I never really knew what homesickness was until I immigrated to Wellington, New Zealand in late 1974. Leaving behind family and friends is indeed a huge call to make but I wanted to progress into the field of colour reproduction in the printing industry. Sadly circumstances did not offer me the chance to prove myself in this high tech area of my profession. After a couple of years in Sydney, Australia I decided to finally return back to Edinburgh for the third time and settle down. It was late 1979 and the Conservative Party was in and the Iron Lady was in power in the United Kingdom. Her main goal was to attack the trade unions head on like the Bull that she was. It may not have been a war with machine guns and bombs but by the middle of 1981 less than two years after the Conservative Party came to power the unemployment rate had risen from 1.5 million to over 3.3 million. I lost my job at William Blackwood Printer and was forced to sell my house that I owned outright. Being forced to sell something you have worked hard for gives you a lack of confidence in the Country. Everywhere one looked there was working class people of all ages losing their jobs. At the tender age of thirty years old I was told that it might take years to find meaningful employment again in the printing industry in Edinburgh. It was then I decided to pack a suitcase and walk out the door of my home and head back down under to Australia to seek a light at the end of the tunnel. 4. After the Thatcher Exodus you moved back to Sydney, Australia for the third time. With home ownership and job security in Edinburgh now looking like a life time away you could finally focus on work again, tell us about your visit to Crazy Horse Memorial and how the type of work around it was influenced by the effects of Thatcher? 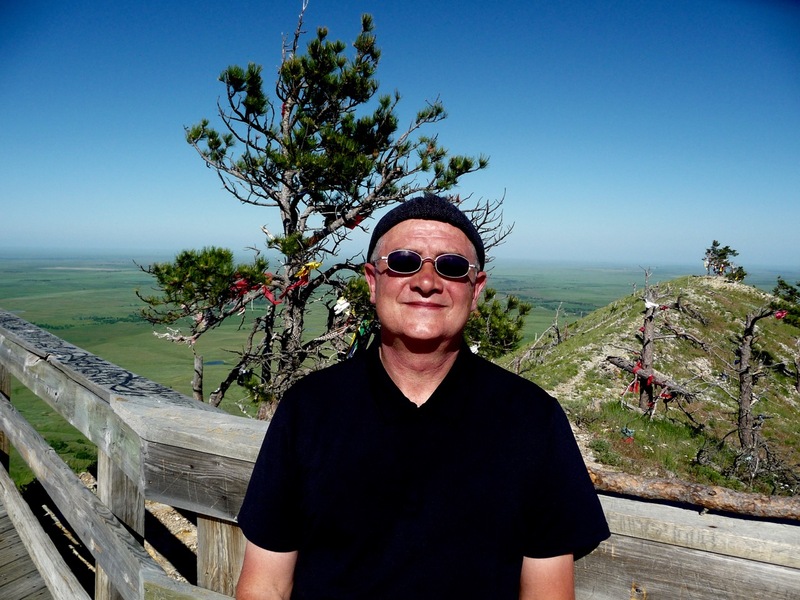 While camping on the Grand Canyon rim with my Trek America group in late 1981 I was informed by the northern trek driver of the Crazy Horse Memorial which was a work in progress by Korzcak Ziolkowski and his family in the Black Hills of South Dakota. I made a mental note of this and while staying in Hawaii after the trek I wrote to Mrs. Ruth Ziolkowski asking about the mountain carving. Arriving back in Sydney I started to work at Service Press Newspaper Printers in the suburb of Waterloo. I then started to write a series of articles on the American West for the Ethnic Newsreview Magazine. The following year I booked my flight tickets and turned up at the entrance of Crazy Horse Memorial courtesy of the Trailways Bus from Los Angeles via Denver, Colorado. I was still smarting from being a Thatcher refugee but I was also excited as I walked the mile to the visitors centre with my suitcase in toe. I wanted to know more about Crazy Horse and I had recently purchased “Crazy Horse: The Strange Man of the Oglala’s” by Nebraskan author Mari Sandoz published in 1942. Jack Little from the Lakota Nation who was a guide lecturer at the mountain met me at the entrance of the visitors centre. Things were starting to move fast from then on and Jack introduced me to his American wife Shirley. Korczak Ziolkowski was actually extremely sick during my visit and died a few months after I arrived back home in Sydney. However I now had purpose and a vision regarding what I wanted to do and it was to explore the recent history of the Lakota-Sioux and the Northern Cheyenne as they tried to fight and halt the spread of the Americans ‘Manifest Destiny” onto their lands in the mid to late nineteenth century. 5. From being married and owning your own home outright in Edinburgh Scotland to now being divorced and not owning your own home. 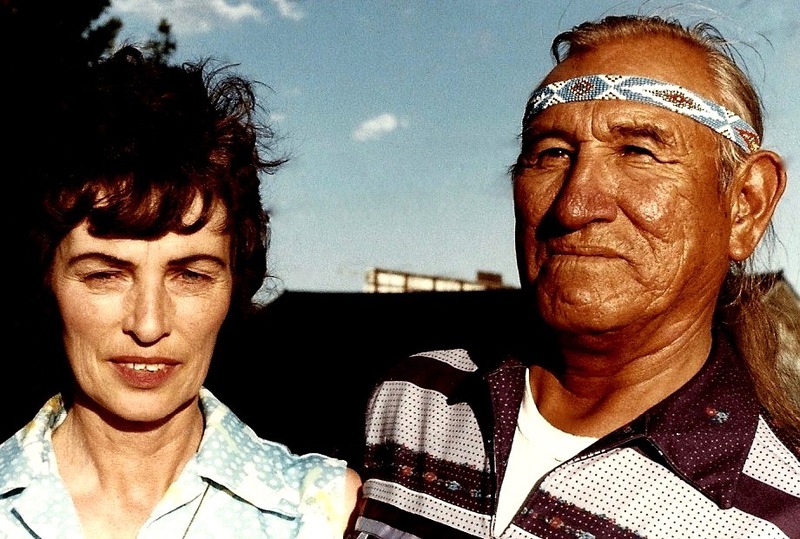 What did you learn from the time spent with Native American Jack Little from the Lakota Nation and his American wife Shirley? Did the emotional strains of a divorce affect your artistry and did you seek comfort from Jack Little? While staying in Custer South Dakota located in the beautiful Black Hills for five weeks in late 1982 I visited Crazy Horse Memorial most days and spent time speaking with Jack and Shirley Little. I would also wonder out to the viewing platform and gaze up at the mountain and marvel at this inspiring project in progress. Chief Luther Standing Bear of the Lakota Nation wrote to Polish born mountain sculptor Korczak Ziolkowski in 1939 asking him to carve a memorial out of Thunderhead Mountain to War Chief Crazy Horse. Korzcak agreed to the mountain-carving offer and began work in 1948. The sculpture’s final dimensions are planned to be 641 feet (195 m) wide and 563 feet (172 m) high. The head of Crazy Horse will be 87 feet (27m) high by comparison; the heads of the four U.S. Presidents at nearby Mount Rushmore are each 60 feet (18m) high. One mile down from the mountain complex was a modern wooden fort with gift store and restaurant. The owners of the fort John and Jackie Cooke and their three daughters Cindy, Cathy and Chris were extremely kind to me in my somewhat troubled state after the divorce and the strains of the recent Margaret Thatcher experience in Scotland. Their friendship and that of Jack and Shirley Little went a long way to lifting my spirits and gave me hope once again for the future years. Jack Little’s story of survival really hit a nerve and some of my fondest memories from that time was listening to Jack speak to visitors at the museum about the plight of the Lakota-Sioux people in present times. I can still hear his strong words to this very day as he looked them in the eyes and said, “What makes you think that your culture is so right and knows all the answers regarding this earthly journey?” Jack’s 10,000 life story has followed me for over thirty years and it will always be a driving force behind my creative projects as a working artist. 6. 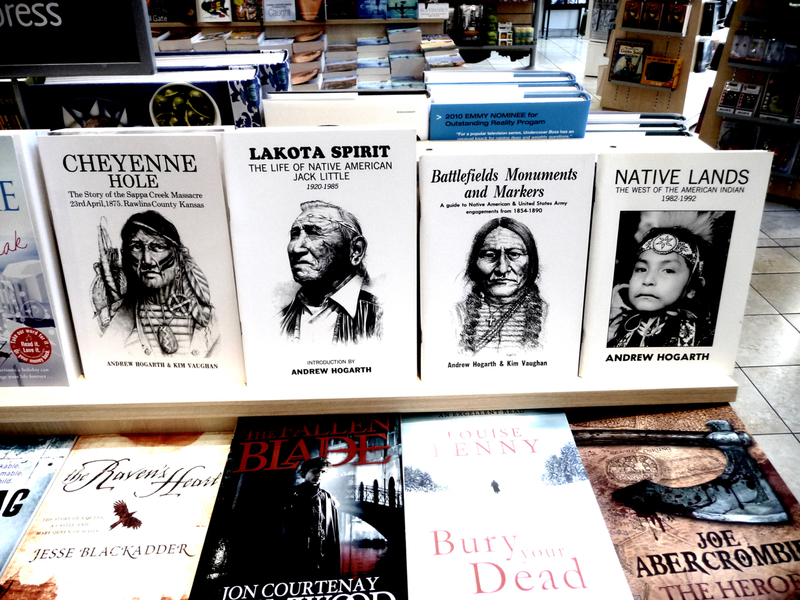 With your new found passion for Native American history ignited after your early 1980’s trips to the Black Hills of South Dakota you set about writing and publishing your own books throughout the 1980’s. You continued to travel the Great Plains region of the USA visiting many of the mid to late nineteenth century battlefields of the Lakota-Sioux and Cheyenne Nations. These nations fought the United States Army over control of their lands. It must have been an amazing and humble experience to learn the true happenings from the Indian side of the story and not what was portrayed in the western serials of your childhood. Can you tell us how it changed your views? After the trip to the Black Hills of South Dakota in 1982 I returned back to Sydney with a new sense of self-belief and hunger for more information regarding the Lakota-Sioux and Northern Cheyenne warring years on the Northern Great Plains. There was a huge amount of recorded information that had been published since the watershed publication of “Bury My Heart At Wounded Knee” by Dee Brown in 1970. During my stay in New York waiting for my Trek America tour to get underway in late 1981 I had visited the Heye Museum on Broadway and purchased copies of “Black Elk Speaks by Nicholas Black Elk and John G. Neihardt and “Lame Deer: Seeker of Visions” by John (Fire) Lame Deer and Richard Erdoes. It was exciting times as I started to educate myself about engagements between the Lakota-Sioux, Northern Cheyenne and the United States Army. Furthermore the next eight years I visited the actual areas where much of this conflict took place in the open spaces of the plains from as far north as the Canadian border and right down into the Texas Panhandle. Truthfully it was nothing like what was portrayed in the western serials of my childhood. To depict what really took place drove me to publish four books on the subject in the 1980’s. Due to being an industrial camera operator I was able to design all my own artwork and also shoot the printing negatives, which allowed me to keep the costs down. Whilst on four occasions in the 1980’s I would take a bromide copy of what the book would look like and find around three hundred people who would commit to purchasing a copy while the book was at the printers. It was tough work; nonetheless I succeeded in paying four figure print bills by working at ground level and also with the help of the independent bookstores in Sydney. I was immune to hard work from the upbringing I endured it has given me a sense of resilience in the later years. I was really passionate about the strong willed resistance of Native American freedom fighters Sitting Bull, Crazy Horse, Dull Knife, Little Wolf, Red Cloud and many more who stood up to be counted in those trying and stressful times in the recent past. 7. On the 25th of January 1989 the anniversary of the Lakota-Sioux and Cheyenne Nations victory at the Battle of the Little Bighorn you were informed that their was a small powwow being held at Cedar Lodge in the Badlands National Park to celebrate the 50th anniversary of the park. It was at the powwow that you met and photographed the Ceremonial Chief of the Lakota Nation Frank Fools Crow. It must have been an interesting event with Fools Crow giving a speech about his people as he approached one hundred years old. Did the speech resonate through the images you shot? Were they taken in a powerful way to reflect Fools Crows bravery? The gathering for the anniversary was around two hundred people. About half that number was Oglala-Lakota from the nearby Pine Ridge Reservation. When it was announced by the Master of Ceremonies that Frank Fools Crow would speak on behalf of the Lakota contingent present, I was surprised to say the least. I had read his autobiography with Thomas E. Mails in the early 1980’s and I was thrilled to listen as he gave his speech with a strong dynamic voice. All the young Lakota children present had their hands clasped behind their backs and heads bowed as their Ceremonial Chief spoke in his native tongue. This was the only time that I ever used a zoom lens to photograph to capture the intricate moments of this ceremony. I later introduced myself to Fools Crow and we shook hands and before I departed the event I spoke with his family members and I made sure that I had a forwarding address to send on the images. The nine images taken that day of Fools Crow were extremely powerful and I published the entire series of images in my ‘Great Plains Revisited 1981-1989’ hardback book later that same year. I also included one of the Fools Crow images in my Powwow: Native American Celebration photographic exhibition that toured the United States from October 2000 up to October, 2003. 8. While on your Great Plains road trip in 1990 you were driving through northwestern Kansas when you stopped at a roadside rest area. Above the wooden shelter was a bronze historical map that showed the location of the Sappa Creek Massacre Site from 1875. It started an investigation of two counties and eventually you located the exact location of the massacre site. This led to you working with co-author Kim Vaughan and Cheyenne Tribal Historian John Sipes Jr for the next twelve months to produce a twenty-four page booklet on what really took place at Sappa Creek. This must have been exciting times re-writing history and giving the Cheyenne side of events and not what white historian had written down which was not much up to that time. When I located the exact site in the summer season of 1990 the rancher Larry Catlin who owned the land was extremely friendly and allowed me to look around the area where the Cheyenne village had been all those years ago. When I returned back to Sydney later that year I had with me a booklet that I had purchased from the local museum in the town of Atwood ten miles from the Catlin Ranch. The two accounts on the massacre by local historians William D. Street from Kansas and E.S.Sutton from Nebraska in the booklet revealed stunning evidence from the cowboys and residents of Rawlins County that had passed through the area only days after the massacre of innocent Cheyenne women and children. There had indeed been a United States Army cover-up at Sappa Creek with the illegal use of twenty buffalo hunters in the action by Lt. Austin Henely. I later contacted the National Archives in Washington D. C. and a copy of Henely’s official report and letters from Doc Wimer-Mari Sandoz correspondence were posted out to Sydney. In late 1990 I called the Oklahoma Historical Society and spoke with Cheyenne Tribal Historian John Sipes Jr. John had been the tribal historian for over two decades and his main source was Pete Bird Chief (1899-1986) the previous tribal historian who new survivors of the massacre in his youth. I also contacted Caroline Sandoz Pifer the sister of Mari Sandoz and she was kind enough to supply material to support our case regarding a cover-up. The twenty-four page booklet complete with images and computer maps of the action was published for a second time in the United States by the Last Indian Raid Museum in Oberlin Kansas the following year. It was indeed extremely pleasing to re-write the history books and in the process remember the Cheyenne who lost their lives on the Sappa Creek. 9. You were extremely active with your writing and book publishing in the early 1990’s publishing four books: Cheyenne Hole, Lakota Spirit, Battlefields, Monuments and Markers and Native Lands. It certainly was a creative period that eventually led you to resign from your job at Rupert Murdoch’s News Limited and air freight four publications travelling again to the USA to sell to museum bookstores located across the Northern Great Plains in the summer season of 1995 and again in 1996. You were certainly clocking up the on road mileage. How did interested parties view a Scotsman with his strong passion for Native American history when you rocked up to sell copies of your books? I was never completely happy with the final design and layout of the 1980’s books that I published. It was a learning process and the technology in the printing industry had evolved with the advent of Autokon Lazer Graphics Systems. This allowed one to make amazing reproductions of screen paper bromides for artwork and the printing of negatives. Negative processors had been introduced and one did not need to tray develop with chemicals anymore. I had completed my battlefield work on the Great Plains by the early 1990’s and I wanted to update the “Battlefields, Monuments and Markers” book. Plus publishing “Cheyenne Hole” was a real thrill and finally I wanted to take Jack Little’s 10,000 typed story and publish it on its own in a thirty-six page booklet. By the end of 1994 all four books had been carefully designed and thought out and using the new lazer technology I printed the four publications onto white gloss art board in stunning black and white. The end result was really pleasing and once again I continued to hunt down another three hundred people who committed to purchasing copies subsequently allowing me to pay the large print costs at the back end of production. With my apartment sunroom now filled with two tons of books I decided to quit my secure high paying job at News Limited and travel to the Great Plains and see if people were interested in what I had to say with my books. Unlike in 1985 when I sold two thousand copies of my first book “Light at the end of the tunnel” on the Great Plains. This time I had four titles and twelve thousand copies to distribute to interested parties in museum bookstores and gift shops. I will always remember driving out of California and crossing into Arizona late one night after I had returned to the United States in 1995 thinking to myself that I was forty-five years of age and I now had no full time employment or steady income coming in each week. Over the next six months I worked extremely hard travelling five thousand miles speaking to museum curators and directors and bookstore and gift shop owners and managers. Yes they were slightly curious to see a Scotsman with such a passion for Native American history and culture but at the end of August 1995 I had sold all my copies of the four books. I must say this was one of the most rewarding moments of my life as an artist, storyteller and a creative person. 10. Over the decades of travelling the USA you have struck up strong friendships with people red and white who live on the land. With the history of the Indian Wars on the Great Plains being only in the recent past did you manage to meet many individuals who had a direct link to that extraordinary time in history of the conquest of the American West? When I was travelling by Greyhound bus from Los Angeles to Denver in 1982 I asked a few of the locals in Colorado what happened to the Cheyenne and Arapaho Indians who owned that area before the whites settled it in the mid nineteenth century. The reply was they are long gone and the few that survived married into white society and generally disappeared. I found this hard to believe as the conquest of the American West was only in the recent past. The fact that Hollywood beamed hundreds of western movies and serials across the western world in the late 1950’s and early 1960’s was not to promote Native American culture and accurate historical content. It was to promote the white cultures dominant view of western history and in the process sell advertising of American products in their commercial breaks. I will never forget when I stayed with Jack and Shirley Little at their home in Custer South Dakota in 1985 while selling copies of “Light” on the road for six months. Jack and his brothers Leo and Gus were all old Lakota’s, born in the 1920’s and brought up on the Rosebud Reservation with family members passing down their exploits when fighting the United States Army. The three old full bloods would sit on the sofa and watch the old westerns on television with cavalry guns blazing and Indian war whoops ringing out loud as the battles commenced in earnest. I have always wondered and wished I could have given my dear friends a penny for their thoughts at that particular moment. I was fortunate to meet some very interesting individuals during my long years of crisscrossing the Great Plains. Two of my closet friends Bill Groethe and Chuck Cochran met the last of the old warriors who fought against Lt. Colonel George Armstrong Custer and his Seventh Cavalry at the Battle of the Little Bighorn in 1876. Bill was only a young budding photographer in his mid twenties working for Bell Studios in Rapid City, South Dakota in 1948 when his boss sent him to Custer State Park in the Black Hills to photograph the last nine Lakota-Sioux survivors from the Little Bighorn battle. Black Elk, Dewey Beard and John Sitting Bull were three of the nine who lined up to have their images captured by Bill and his trusty camera. Also in 1948 a young eight year old Chuck Cochran was travelling through the Badlands National Park with his parents on holiday from Chicago when they spotted a roadside Indian wearing full regalia and standing next to his tepee. It was Dewey Beard who as a young warrior and fought at Little Bighorn and sixteen years later at Wounded Knee in 1890. 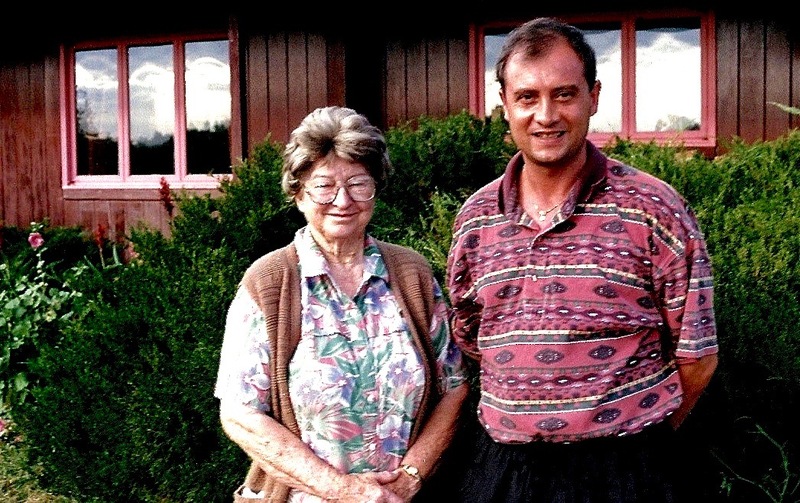 In the summer season of 1992 and again in 1999 Kim and I visited Caroline Sandoz Pifer at her home in the Sand Hills of western Nebraska. Caroline would tell the both of us stories about her famous sister Mari Sandoz and also how caroline went back to university at the age of seventy-one to get her degree as to publish her books and sisters letters. In 1930 when Mari was working on her book about Crazy Horse, a young sixteen-year-old Caroline was asked to accompany Mari down to the Pine Ridge Reservation to interview Chief He Dog the boyhood friend of Crazy Horse. I always knew that if you work hard enough you will reap the rewards and today I still ring both Chuck and Bill and chat about the American West. Caroline sadly passed away in 2012 at one hundred years of age and as they say time waits for no man. I will always treasure my time spent with Caroline in the Sand Hills and her yummy Weenie sandwiches. 11. Prior to setting off to the USA in the summer of 1995 with your four book titles and stock you moved into another artistic medium by showing your images in photographic exhibitions. Your first collection of images Native Lands: The West of the American Indian debuted at the Graphis Fine Art Gallery in the upmarket Sydney suburb of Woollarha. How did the general public respond to the powerful Native American portraiture images that were on display during the five-week showing. Do you think they related it at all the Aboriginal Culture of their own? How much work goes into producing one of these exhibitions? In 1993 I was asked by a gentleman Roger Vela who owned a trendy clothing shop in Paddington if I would like to hang a selection of my Native American images that had been displayed in my book publishing over the years. I set about creating the selected images up into mini poster size. I was fortunate to have a excellent colour technician Carmen Monseratt who worked wonders getting the right densities for the prints. Sadly the forty images then lay around gathering dust in a red box at Roger’s store. I continued working extremely hard at ground level putting handmade poster with original images all around Sydney in the independent bookstores and other reputable retail outlets. On opening night Sandra S. Odor from the American Consulate General’s office in Sydney attended the exhibition courtesy of her shiny black stretch limousine and the Consulate later purchased three images to hang in their Sydney offices. This one off creative event exceeded my expectations and enough limited edition images were purchased to pay for the costs of framing and matting. The general public loved the images of the Native American portraiture and the landscape images of the Great Plains added to the huge appeal of the exhibition showing. I was especially pleased with the presence of many Sydney Aboriginal people who came down to Graphis to view the images and read the educational wall stories that accompanied each of the fifty-four framed photographs. Sydney is a huge city with over four million souls and there is a stack of creativity in all mediums vying for space in the papers and television every day of the week. I employed the same pavement pounding methods as with my book publishing and I was able to grab the attention of interested parties across the city who wanted to view my Native American images from my travels on the Great Plains of the United States of America. It did seem that many of the people images in the Native Lands collection resonated with the Sydney public. 12. At the completion of your book selling summer season road trip of 1995 you were on your way back to Los Angeles, California when you stopped to visit your good friend and fellow artist Greg Koschtial and his wife Sue who lived outside Jackson Hole, Wyoming. It was during this weekend of rest that you had a chance meeting with the most powerful man in the western world United States of America President Bill Clinton. How did this meeting compare to the time that you met Fools Crow at Cedar Lodge in 1989? I am sure that both meetings would have been worlds apart regarding pomp and ceremony. Ah the day I shook hands with Bill Clinton outside the Arcadian Hotel in Jackson Hole. The scene was one full of Secret Service agents chomping on their cigars and the Clinton double pacing outside the hotel like a peacock prior to the president making his entrance. 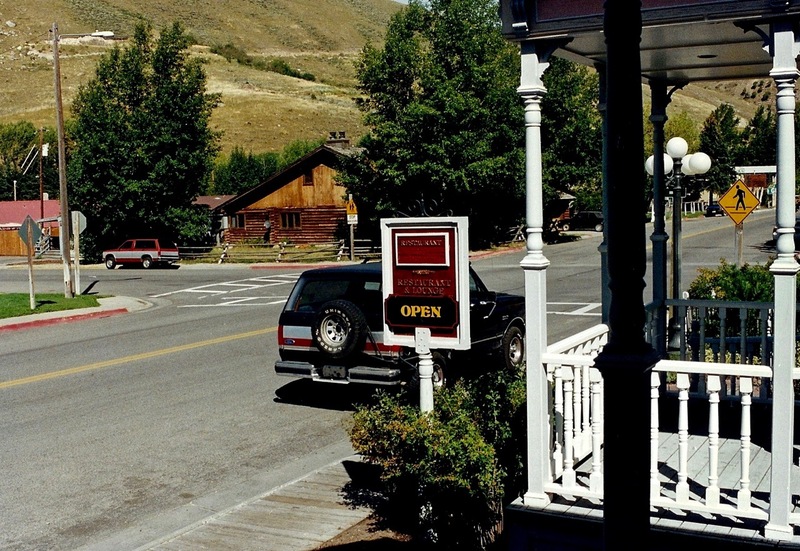 Later that evening I was driving into Jackson for a beer when I was stopped on the service road near to the Rockefeller Ranch where the Clinton’s were residing. Within a few minutes five black four wheels drives slid quietly past in the shadow of the Grand Tetons. It was indeed a surreal experience. My take on both men was that Clinton and Fools Crow were both extremely good orators and very effective at championing their peoples causes. Although Clinton was more extrovert and charismatic and worked on a world stage while Fools Crow was more quietly effective working within the Native American community. One welcomed the publicity and one shunned it. 13. Wearing multiple sole trader hats while selling your books on the Great Plains in 1995 you managed to interest several prominent museums in Wyoming to highlight the Native Lands collection for the summer season of 1996. It must have been such a thrill as an artist and storyteller to hang your work at the Jim Gatchell Memorial Museum in Buffalo and also at the Jackson Hole Museum during the national and internationally prestigious Falls Art Festival. Did it make wearing those sole trader hats bearable? While selling the four books in 1995 I also carried multiple presentation folders of the Native Lands: The West of the American Indian 1982-1992 hoping to interest museums and galleries in showing the exhibition. I had also developed a Battlefield’s, Monuments and Markers colour exhibition for potential showings also in museums and galleries. It was a bit of a struggle changing hats once I had sold a batch of books and then I would offer up the exhibition medium to curators or museum directors. I had strong connections with the Sheridan and Buffalo cities of Wyoming over the years. In 1990 I presented hundreds of my archived battlefield prints to founding member Mary Ellen McWilliams at the Fort Phil Kearny/Bozeman Trail Association in Sheridan. Later that year I was awarded the associations Spur Club Award for my kind donation. The prints were then housed in the Johnson County Library in Buffalo across from the Jim Gatchell Memorial Museum. I remember the day that I sold books to Gary Anderson the director at the Gatchell Museum and when he later viewed the Native Lands images he quickly asked if the museum could exhibit them the following year. The same thing happened at the Jackson Hole Museum with the curator Joanne Byrd asking to exhibit Native Lands the following year during the Fall Arts Festival. Arlene Eckart Earnst the curator at the Wyoming Pioneer Memorial Museum in Douglas also came on board early in the trip also after purchasing a selection of the four books on offer for sale. It would have been great to have had staff members working with my creative projects but sadly this is not normally the life of an artist trying to get his work out into the public domain. The up side of wearing all the hats is if anything goes wrong then you have no one to blame but yourself. I was thankful for the interest shown by Dennie and Judy Schmittinger who owned the Gallery of American Legends in Custer South Dakota. Dennie and Judy came on board and framed and matted both the Native Lands and Battlefields exhibits and later the gallery decided to highlight the full eighty frame Battlefields, Monuments and Markers collection for the whole summer season in Custer, South Dakota. Later that summer I once again interested Brandon Case the director at the Rockpile Museum in Gillette, Wyoming to exhibit Battlefields the following year. 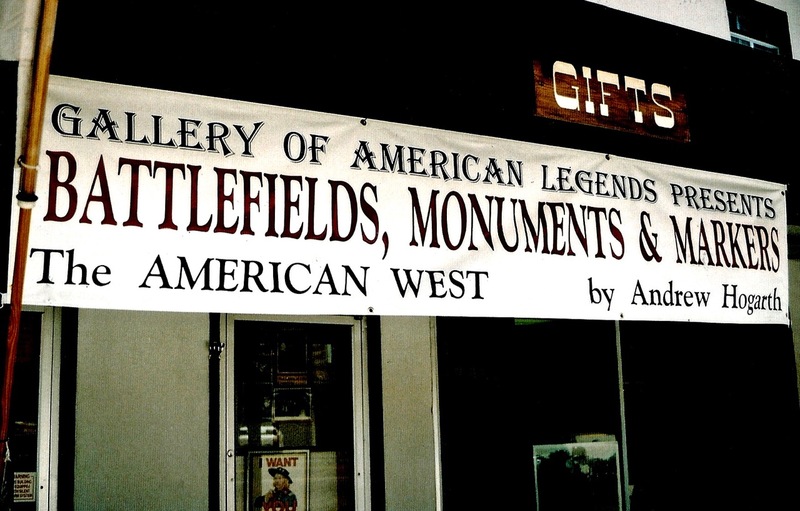 And to crown off the 1995 book-selling trip the Museum of the Mountain Men in Pinedale, Wyoming also booked the Battlefields exhibit for a showing in 1996. When I returned back home to Sydney I was completely exhausted but I had managed to sell eight thousand books mostly for cash and arranged for five museums and one gallery to exhibit my two photographic collections in the summer season of 1996. You can have an exhibition in a city environment but getting the locals who live on the land to embrace your creative works is a tough call. Once again it was the images of the Native American people and the landscape images that shone through with their colourful and dignified power that radiated soul in the portraiture images. 14. After returning from a successful summer season of book selling on the Great Plains trip in 1996 did you feel that this was finally the end of the line regarding the creative processes with your images and storytelling? The books had sold well in the museum gift stores and book stores across the plains and one of the publications “Battlefields, Monuments and Markers: A Guide to Native American-United States Army Engagements 1854-1890 was so well received that it was out of print before you returned back to Sydney, Australia. It is one thing to sell wholesale stock to an outlet but to actually have interested parties’ purchase the goods is a totally different kettle of fish. I remember a gentleman saying why did I spend so many years travelling across the Great Plains visiting and researching the battlefields between the Lakota-Sioux and their Northern Cheyenne allies against the United States Army. The gentleman informed me that he had read “Bury My Heart At Wounded Knee” by Dee Brown and found it extremely depressing. I actually found finding an area with bluffs and rocks where blood had been spilt extremely uplifting. Finding these areas and knowing what happened there allowed me the opportunity to shoot interesting and accurate photographs that I eventually published in my books. It was the fighting spirit of the Lakota and Cheyenne warriors who fought to protect their lands that I found uplifting. The need to share my research information with like-minded individuals in my publications was always the driving force behind my positive and passionate outlook. There were strong similarities with my own people the Scottish Highlanders and their clan system when they fought the English for control of Scotland. Before that William Wallace and Robert the Bruce. That is why the “Battlefields, Monuments and Markers” book did so well. It had taken over eleven years to compile and highlighted dozen of images from battles, actions and fights that had not been seen before in publication and yes I did feel that this was the end of the line regarding the creative processes. Many of the old tribal historians that I worked with over the years had since passed away and there seemed a void as if a link to the recent past regarding the Indian Wars was now closed. Although as they say, when one door closes another opens and this can be said of my visit to the Crow Fair on the Sunday in mid August, 1995. In the past I never attended powwows as I felt my work was solely with the historical aspects of Lakota and Cheyenne culture. By the end of that day I had introduced myself to five dancers; Cedric Walks Over-Ice, Lawrance Archie, Roy Pete, Raymond Cree and Quincy Jackson, together we had created some wonderful imagery. I decided to investigate this style of photography further and I attended six powwows in the summer season of 1996 while taking a break from the book selling and organising the exhibitions that I had committed to with the museums and galleries that year. With politeness and good manners I introduced myself to over fifty Native American dancers male and female at the powwows I attended and by the time I returned back to Sydney I had developed the idea for showing a powwow exhibition to the general public. Once again I was up and running with new ideas and fresh imagery. 15. After developing your new collection of powwow images that you shot while on the road in 1995 and 1996 were you surprised when your twelve image presentation of Powwow: Native American Celebration complete with text wall panels that included many quotations from your dear friend Jack Little was one of only fourteen art-forms worldwide selected for a three year national tour of the United States of America by Not For-Profit Touring Company Exhibits USA based in Kansas City, Missouri in April, 1998. Did you ever think you would have achieved this all those years ago in your living room in Edinburgh? I remember when I picked up my images of Cedric Walks Over-Ice, Lawrance Archie, Raymond Cree, Roy Pete and Quincy Jackson at Jet Photo in Rapid City from the Sunday shoot at Crow Fair in 1995 that they were indeed special. I laid the most powerful images out on the front counter and a gentleman who was collecting his photographs looked down at the images and said great composition and colour. The images of Jay Eagle, Nathan Blindman, Adam Nordwall, Danny Reyes and many more from the 1996 powwows were also top drawer imagery. What the two old Olympus OM 20 cameras had allowed me to do with their 35-75 mm lenses was stand just outside a dancers personal space and then zoom in and compose the angles that best suited the individual dancer and their amazing regalia. 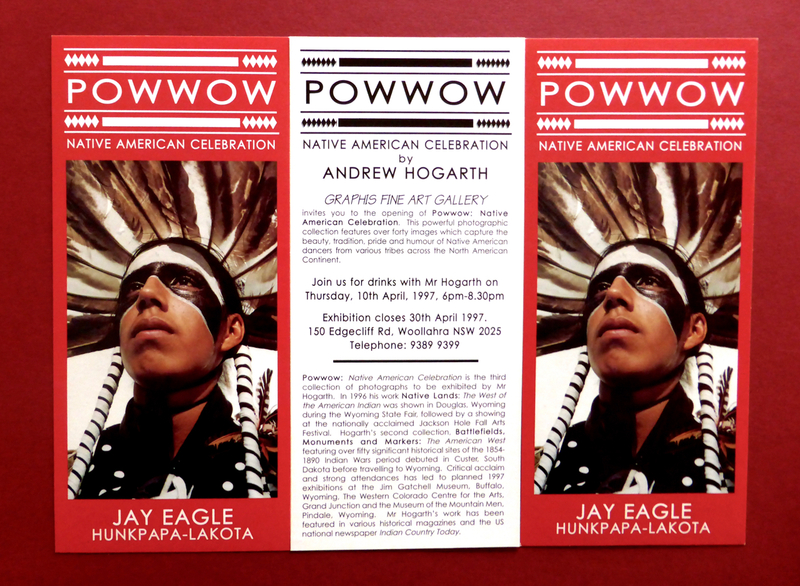 The showing of Powwow: Native American Celebration at the Graphis Fine Art Gallery in April 1997 was a must see event with television highlighting the exhibition three times during the course of the five week showing. The print media came on board and published extensive articles that included many of the main images on display. There was also two radio interviews and the Sydney general public really responded to the powerful powwow images at the exhibition. When Exhibits USA advertised the Powwow exhibition in their annual touring catalogue there was forty-nine enquiries from prominent galleries and museums across the United States. The exhibition was booked out in only eighteen months and by the end of its three-year national tour it was one of the top Exhibits USA touring exhibitions. I never in my wildest dreams thought that a young Scottish kid from the wrong side of the tracks would have one of his photographic exhibitions hanging inside the hallowed walls of the National Civil Rights Museum in Memphis, Tennessee that had been built on the site of the Lorraine Motel where Dr. Martin Luther King had been assassinated in 1968. I was also thrilled for all the Native American powwow dancers who were represented in the exhibition and I laughed quietly inside knowing that my dear friend Jack Little was still asking the questions regarding the cultural write of way from his wall story that complimented many of the images in powwow fifteen years after his passing. 16. Like many artistic endeavours it is always a tough ask to juggle the creative processes and earn enough money to pay for the weekly living costs. After three years of selling your books and organising photographic exhibitions in the USA how did you feel when the time arrived to commit once again to the daily grind of the general workplace? For some this would seem a let down in many ways but working part-time at Australia Post in Sydney’s CBD brought you in touch with a young musician and together you both were able to move into the artistic medium of music. This allowed you to write lyrics about the stories of the American West that had inspired you over the years. It must have been an exciting time working with young Chris Fisher. Was this the first time you had taken an interest in music? Since my teenage years I had always been extremely interested in music. In the late 1960’s and early 1970’s Edinburgh was rocking with the sounds of the British Explosion and from across the Atlantic came the sounds of Bernie Gordy’s Motown artists. 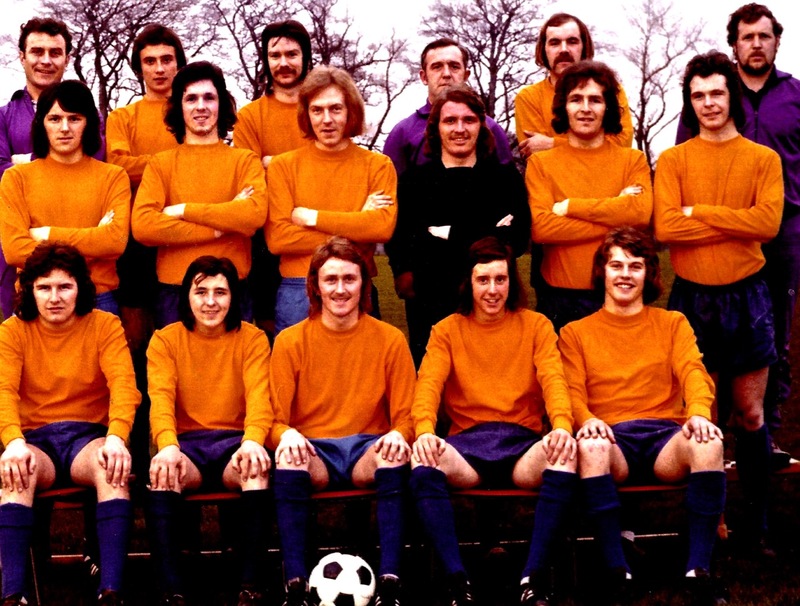 I was a teenager and along with being successful in my printing job I had developed my football skills and was playing at a high level in the juvenile leagues in the city. I will always remember racing home after work on a Friday evening and picking out one of my favourite hand tailored suits and catching the number forty-four or number five red double decker bus to the trendy dance halls that were scattered around the city centre. I have always supported the music scene by attending concerts and cultivating my album collection. Music is a very powerful medium both for personal pleasure and also as a social commentary outlet. Periodically over the years I would ask my musician friends if they were interested in collaborating on a song about the happenings at Sappa Creek but my requests always fell on deaf ears. It is always special when you get the opportunity to spread the word about stories and events that are important in ones life. What I did not expect was to collaborate with such a talented young man like Chris Fisher and together over a eighteen month period write and create a twelve track album, with picture disc and a sixteen page booklet with stories that highlighted the lyrics in each of the songs. Working in a dirty loading bay for Australia Post in the Sydney Central Business District was not the ideal setting to be inspired and creative but Chris and I managed to retain our sanity week in and week out and somehow concentrate on the job ahead writing the lyrics and musical melodies for the songs. It was fantastic to write songs about people and places that were the corner stone of my Lakota-Sioux and Cheyenne battlefield research in my book publishing days. My two favourite lyrics and songs were of course Sitting Bull and Crazy Horse. Both these freedom fighters and leaders of their people were giants in those turbulent years when the Lakota-Sioux warriors tried in vein to halt the advance of the Americans settlers who were encroaching onto their lands and in the process protect their families and interesting way of life on the Great Plains. Together Chris and I came up with interesting rock and roll sounds that complimented our lyrics and hopefully inspired and educated music lovers along the way. It was a fun time making Great Plains the musical album and we did write a song about the Cheyenne Nation and what happened to the innocent women and children who tragically lost their lives at Sappa Creek. And yes during that amazing creative period we did manage to pay the bills and purchase bread and milk but some weeks it was a tough call to say the least. It was a real juggling act but together Chris and I pulled it off. After the completion of the album Chris and I went our separate ways and for the next fifteen years we lost touch with each other. In early January 2016 I was working on the music videos for the eleven songs to be highlighted in cyberspace when Chris said hello on Facebook. 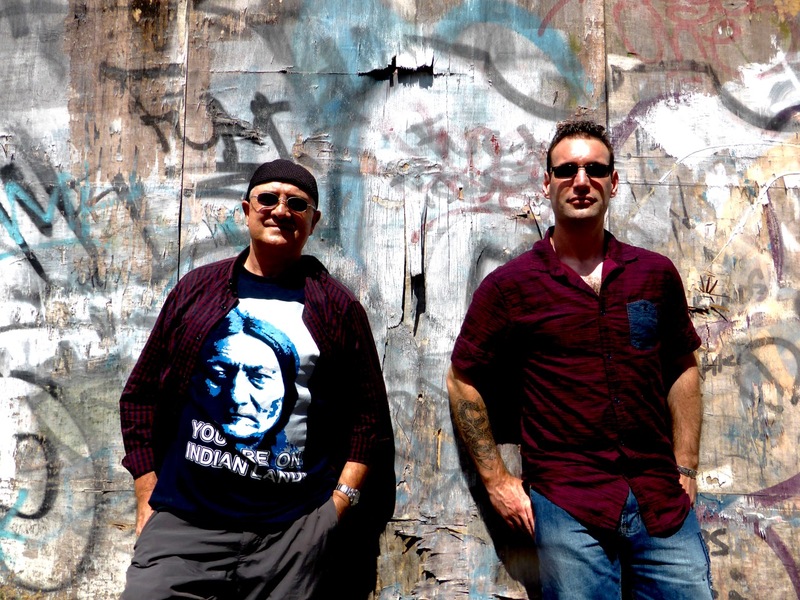 And we meet up a few weeks later and shot some images to promote the two new songs “Coyote Man” and “Buffalo Medicine Horns” that we are recording to celebrate the fifteenth anniversary of Great Plains in September. 17. It seemed that the images and stories you had to share with interested parties regarding Native America never grew old or became outdated. You constructed your first website with a strong educational component in 2003 and it did seem that the journey had finally reached its completion. Was it a surprise when you received a call from Sydney Morning Herald journalist Rosemarie Milson asking if you would be interested in a four page spread in the Sunday Life Magazine early April edition of 2003? It had indeed been a roller coaster ride with the travelling, book and photographic exhibitions and then surprisingly the music. The Internet was now in full swing and it seemed a logical move to highlight areas of the journey by designing a website that would be available twenty-four seven as the saying goes. 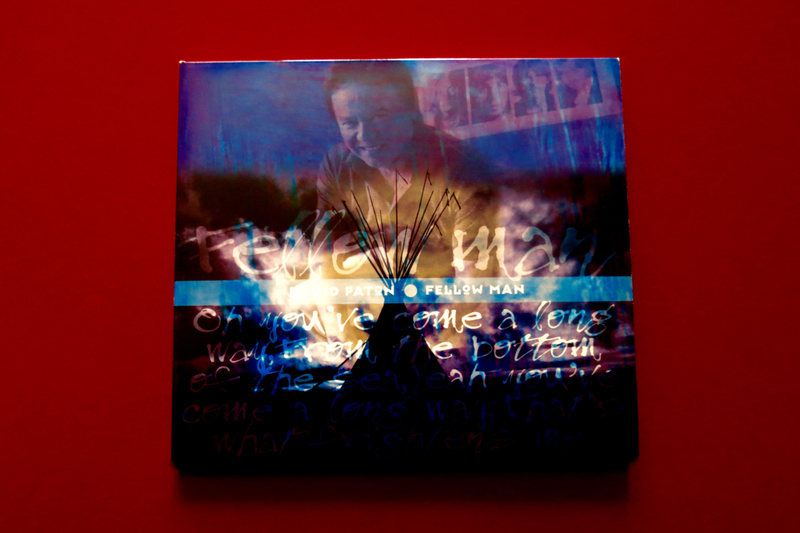 I contacted Craig Stokoe the owner and managing director at LPN Design in the Sydney suburb of Mosman and for a second time we set about the task of being creative, the first being when Craig and his staff members designed the artwork for the Great Plains album. It took a few years to get all the files written and then finally uploaded and by early 2003 everything was completed and Andrew Hogarth Publishing was online on the super highway of information. When I received the phone call from Rosemarie Milsom regarding the story for her magazine I jumped at the opportunity to spread the word about my personal experiences working with Native American artists, writers and historians since my first trip with Trek America in 1981. I had now clocked up 150,000 miles of on-road travel and I did not see myself slowing down in the years ahead. There is something very special when driving out in the open plains or mountain regions of the Great Plains and watching the sunrise and also the sun setting. The four-page article was published in early April and it came at a time when the Sunday Life Magazine was at its peak with a readership of over 700,000 in the states of New South Wales and Victoria. The magazine published interesting content about successful people from all walks of life. In the weeks prior to my story being published there was articles printed about Michael Douglas, Harry Kewell, Sharon Stone, David Gulpilil, The Dixie Chicks, John F. Kennedy, Helena Christensen, Jamie Oliver and Arnold Schwarzenegger. I remember walking down to a cafe in the upmarket suburb of Double Bay with my wife Kim Vaughan and ordering breakfast as we opened the Sun Herald Newspaper and pulled out the Sunday Life Magazine like many of the patrons who were frequenting the coffee house that morning. There inside were two pages of text with smaller images on two pages and two full size colour images of Bill Hayes a Shoshone powwow dancer who I had photographed in Jackson Hole way back in 1985. And on the fourth page was the image of my good friend Jay Eagle a young Hunkpapa-Lakota who I had photographed in 1996 at the Crow Fair in southeastern Montana. I felt extremely proud that morning and once again it was pleasing to get the word out about the positive side of Native American culture to such a large audience. 18. After the completion of the Great Plains music album in 2001 you left Australia Post and took a part-time position in the Environmental Services Department at the War Memorial Age Care Hospital in your local suburb of Waverley in Sydney. With your books, exhibitions and musical album now completed and the winning line crossed on numerous occasions over the decades they say a change is as good as a rest. Was this finally the end of the gipsy traveller and was the creative well drying up considering the extensive body of work that you had created since your first Trek America road trip in 1981? I did take a break after the completion of the Great Plains musical album. It had been an intense eighteen-month period working with young Chris on the lyrics and music for the songs. I had also spent nearly two year getting everything finalised for Powwow’s national tour of the United States just prior to starting work on the album. For a couple of years I really enjoyed just working at the age care hospital across the road from my apartment without any creative agenda on the horizon. And it was a pleasure to go to work each day and stare up at the two skyscraper Norfolk Pines located in the hospital grounds in front of the historical two story Vickery Building complete with balcony tiles from Pompeii, Italy that had been transported by ship by wealthy businessman and landowner Ebenezer Vickery in the early 1880’s. In 2003 I decided the time was right to be creative again and to go online with an educational website highlighting my stories and images of the Native American culture and history. And two more years would pass before I hit the road again in 2006.This was my twenty-fifth year travelling the Great Plains as a working artist-storyteller and I was fast approaching 170,000 on road miles. I was still using the same two Olympus OM 20 film cameras since my first Alamo Chapel image in San Antonio, Texas in 1981. And while hanging out at my favourite spot on the planet the Custer Battlefield Trading Post on the Crow Reservation in Montana during the middle of the road trip I met and photographed Joe Medicine Crow the Crow Tribal Historian and author. 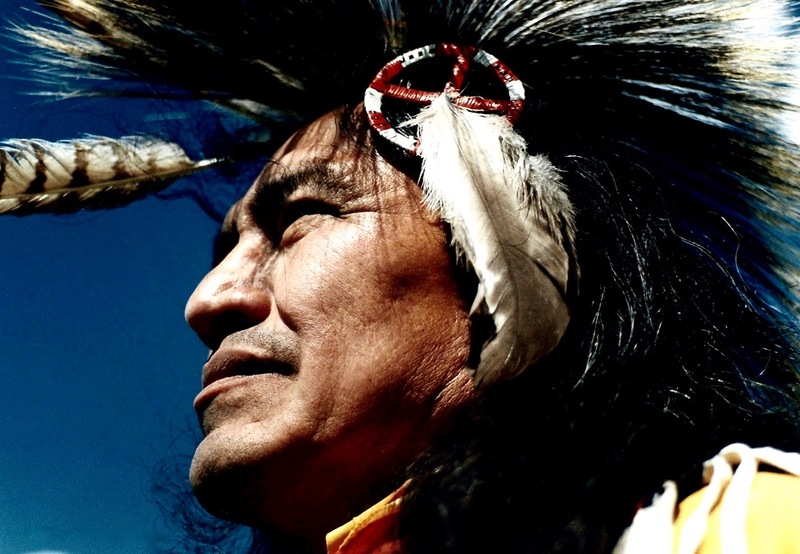 And while attending the Annual Crow Fair that same weekend I created some powerful images with Tommy Christian the 1995 National Traditional Powwow Champion who is an enrolled member of the Lakota Nation. After a seven year break from being on the road it was exciting to have once again met and photographed some really interesting Native Americans. Just when I thought the passion well was drying up it continued to spring surprises and put me in contact with interesting members of the Native American community and together we created powerful imagery that I felt must be exhibited again to the general public. 19. Prior to leaving the United Kingdom in the early 1980’s you were introduced to David Paton the front man singer/songwriter of rock band Pilot at Craighall Studios in Edinburgh. You caught up with him in 2007 while he was singing his worldwide hits Magic and January in a Molly Meldrum Countdown Spectacular that was touring nationally across Australia. This meeting of creative minds ended up with you collaborating with your images being displayed on the front cover and booklet of his ‘Fellow Man” solo album later that year. This particular collaboration must have been interesting to say the least? When I was growing up in Edinburgh Scotland and starting to go out to the dance halls at the weekend there was a young band called the Bay City Rollers who were very active on the music scene at that time. A young Davie Paton played bass guitar for the Rollers and I remember enjoying watching him perform at gigs that I attended. In later years Davie and Billy Lyall an accomplished keyboard player and recording engineer at Craighall Studios put a selection of demo songs together at the studio and later travelled down to London where they signed for EMI Records and within twelve months two of these songs had become international hits around the world. It was a chance meeting with Davie in August, 1981 when my friend Stuart Jeffries who was now the resident engineer at Craighall Studios asked if I would like to listen in on Davie and two of his musician friends making some new demos for possible release at a later date. I really enjoyed attending the session and I followed Davie’s progress in the coming years with much interest. 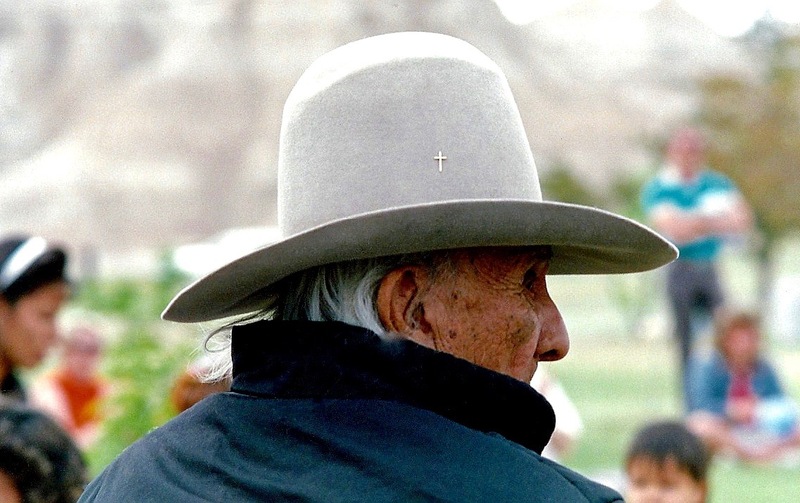 I remember sending him a copy of Jack Little’s Lakota Spirit booklet to his home in Edinburgh and after that we kept in touch through e-mail and later online through his website. Davie had a strong interest in Aboriginal cultures and when he informed me that he was coming to Australia to perform his 1970’s hit songs we arranged to catch up at my apartment for tea and coffee and a chat about our travels up to that point. Davie had almost completed his new solo album but there was still a few songs left to write and the album still needed a title. I remember walking up the hallway when Davie said that he would dearly love to meet an Aboriginal elder on this trip. I thought to myself as I kept walking where would you find one in a city full of four million souls and covered in concrete. Later that evening I mentioned Davie’s request to my wife Kim Vaughan and she thought for a few seconds and replied there was a VIP event at St. Mary’s Cathedral the following day to celebrate the 150th anniversary of the founding of St. Vincent’s Hospital. Kim informed me that there should be an Aboriginal smoking ceremony at the start of the event and that it was possible that Uncle Max Eulo would be part of this sacred ceremony. I phoned Davie later that evening and asked if he would like to attend the anniversary and we arranged to meet up on the Sunday. After the smoking ceremony was completed Uncle Max Eulo and his companion Wayne left the cathedral. Davie and I went outside to speak with Uncle Max and when Davie mentioned that he was visiting from Scotland Uncle Max replied you have come a long way. This particular comment was actually the exact line from Davie’s song “Fellow Man” which spoke about the evolution of mankind. Before we departed I shot a couple of images of Davie with Uncle Max. As we were both walking back to the hotel Davie’s creative mind was now working in overdrive. He informed me that the title of the album would now be called “Fellow Man.” This after the comment by Uncle Max outside St. Mary’s Cathedral. When I left Davie I wished him all the best with the rest of his tour and also the completion his new solo album. Three months later a package arrived in the mail and it was Davie Paton’s new album with my Paha Sapa Sunset image along with images of Davie and the Beatles ghosted into the background of the cover. 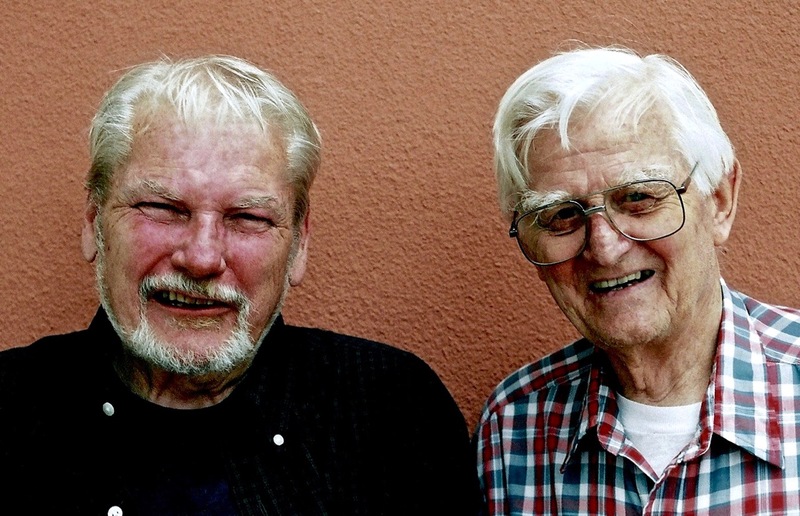 The image of Davie and Uncle Max Eulo was printed in the twelve-page booklet and the arrowhead that I had given Davie as a gift when we had tea was printed across the compact disc. It was a pleasure to have collaborated with Davie and helping him put the finishing touches to his solo album when all we set out to do was have tea and a chat. To work with a fellow artist who has recorded and played with the Alan Parsons Project, Elton John, Kate Bush, Eddie Reader, Chris Rea and Paul MacCartney was indeed an enjoyable experience. 20. After your twenty-five year film retrospective photographic exhibition Great Plains 1981-2006 was exhibited at Sydney’s St. Vincent’s Hospital as part of their Healing Arts Program in 2008 you continued to travel across the USA in the coming years. By this time you had taken on board the new digital camera medium and you continued to record the Native American imagery of the Great Plains. In early 2012 you were asked by Tasmanian publisher Mathew Ody to submit a story and images from your recent 2011 road trip in the USA for the second issue of his quarter coffee table magazine Australian Journey. Did the photographic images lose any of their power when you changed over from film to digital? The old tried and tested Olympus OM 20 cameras were still turning out great results on the 2008, 2009, 2010 and 2011 Great Plains road trips. Although film was becoming extremely scarce and most labs were closing down. It seemed easier to use digital and I purchased a quality compact camera in 2008. When I ventured out onto the Great Plains in the summer season of 2011 to finish thirty years of working with film I took along a Panasonic Lumix TZ 30. I must admit the technology built into the digital cameras is extremely good. I found that I was able to shoot in low light where with my film cameras it was always a hard ask to capture quality imagery when the sunlight was fading. What I enjoyed most about the 2011 road trip was the fact I picked a lot of areas across the Great Plains that I had enjoyed visiting and researching the history over the last thirty years. It was also a special trip, as I would finally clock up 200,000 on road miles. Apart from a slight mishap driving into Sedona, Arizona in 1995 and having the big cat growl at me on the side of a mountain at the Nez Perce Big Hole Battlefield in Montana in 2008 I managed to keep safe while driving the Highways and Interstates on my eighteen road trips. I was excited about the Australian Journey magazine article as hardcopy was now starting to wane as more and more publishers were committing copy to the Internet, which was more cost effective. I have always enjoyed a challenge and Mathew and I decided on a ten-page spread for the magazine with two stories and a total of eight images to compliment the text. We also selected a beautiful red tepee image taken at the Custer Battlefield Trading Post as the front cover image of the magazine. 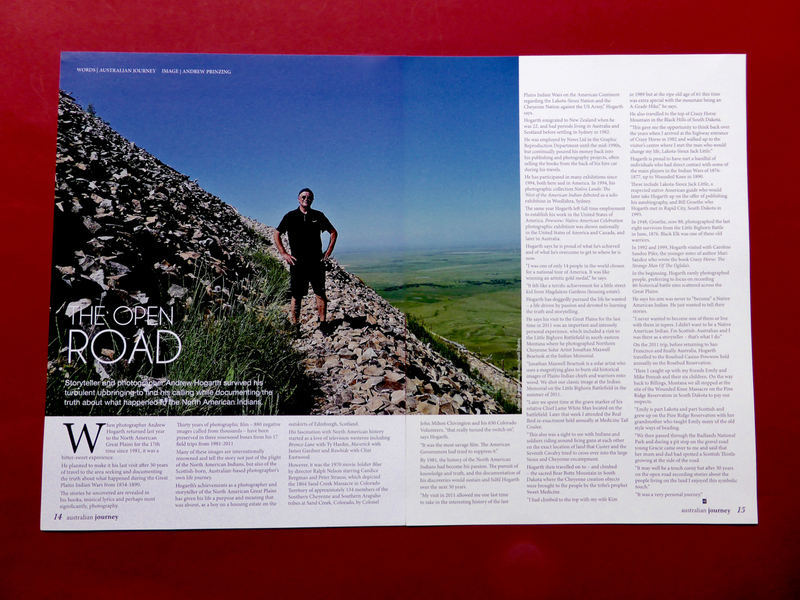 The article opened with a double page spread of my good friend Jonathan Maxwell Bear tusk a solar artist from the Northern Cheyenne Nation. Together we created a beautiful sunset image with Johnathan playing his flute against the backdrop of the Spirit Warriors at the Little Bighorn Indian Memorial. Later that afternoon we enjoyed a few hours walking the battlefield and Jonathan would tell stories about his great grandfather Lame White Man who lost his life during the battle in 1876. There was a powerful double page spread image of Percy War Cloud Edwards taken at the Plains Indian Museum Powwow in Cody and at the right-hand side of the page an image of Lt. Colonel George Armstrong Custer’s grave marker at Little Bighorn. Pages seven and eight highlighted Custer lookalike Steve Alexander and his mounted cavalry at the Real Bird Re-enactment at Medicine Tail Coulee. Later during the 2011 road trip I booked a ride to the top of Crazy Horse Memorial and a image looking out over the Black Hills of the carvings head was included along with one of the Wounded Knee Monument on the Pine Ridge Reservation were selected. I later travelled with the Ponyah family down to the Rosebud casino Powwow near Valentine, Nebraska. On our way back to Montana we drove through the Badlands National Park and while having a short break young Grace aged eight years old ran over to my vehicle and gave me a gift of a Scottish thistle that her parents Mike and Emily had spotted at the side of the gravel road. It was such a nice gesture and I shot a beautiful image of Grace holding the thistle under her chin. I closed the article with this powerful and majestic image. When I received copies of the magazine I was pleased that we had lost none of the power in the images by using digital. The printing quality was excellent and I was so pleased that I had decided to commit my time and effort to them. I remember thinking as I flicked through the contents of the magazine that Academy Award Winner Cate Blanchett and her Sydney Theatre Company managed four pages while international renowned touring company Cirque Du Soleil with there huge financial clout and paid adverts only had eight pages. It was certainly the power of the Native American digital imagery and the haunting landscapes that originally caught the attention of the publishers and ensured that a ten-page spread and front cover image would go a long way to showcase their new and exciting magazine. 21. It must have been a huge honour to be one of only sixty- four creative artists picked picked nationally from across Australia to speak at the inaugural Newcastle Writers Festival in 2013. I am sure that by this time your storytelling captivated the audience that turned up to hear about your amazing journey. It was indeed a huge honour to be asked to speak at the Newcastle Writers Festival in its inaugural year. I had worked with Festival Director Rosemarie Milsom when she interviewed me for the Sun Herald Sunday Life Magazine article on my journey up to that point of crisscrossing the Great Plains of the United States in 2003. I spoke about the Lakota-Sioux Nation and their confrontations with the United States Seventh Cavalry at Wounded Knee in western South Dakota in 1890 and again in 1973. The talk was titled “Two Roads To Wounded Knee” and it was well received by the fifty plus people who attended that Sunday afternoon. I personally enjoyed speaking with Ann Fenwick a retired registered nurse after the talk. Ann had amazing stories to tell about her travels and spoke about the times she worked with the Cree Indians in Canada and also the Australian Aboriginal communities in the outback. It was indeed an honour to be on the same speaking program as Miriam Margolves, Michael Chamberlain, Monica Trapaga, Stuart Littlemore and Jane Caro. 22. After your life threatening operation in late 2012 I was surprised to see you were back out onto the Southern Great Plains the following year. It must have been such a treat to visit iconic sites like Chaco Canyon, Canyon de Chelly and Monument Valley after spending so much time in recent years on the Northern Great Plains. This trip allowed you to complete a six year collection of digital images and it was a nice touch that you once again decided to work with the St. Vincent’s Art Committee and hang your new collection Native America: Dinetah to the Greasy Grass as part of their Healing Arts Program. This exhibition must have been extra special as you were operated on at the Private Hospital. To sum up did your illness affect your creative process at all? After recovering from the operation I was pleased just to be able to function as a normal human being once again. When my wife Kim Vaughan mentioned that we should travel to the Southern Great Plains I jumped at the chance to see what I could create with the digital cameras. It was exciting to think that for the first time I would not be taking the old film cameras along for the ride. I could solely concentrate on the digital cameras. I now had a Fuji Film X Pro 1 to compliment my Panasonic Lumix TZ 30 and as back up I purchased a Canon G15 digital camera. We took things easy on the driving with only a few thousand miles on the 2013 road trip. The landscape was majestic and I shot some amazing images of Monument Valley, Chaco Canyon and Canyon de Chelly. I managed to get great natural light when visiting Pecos, Taos Pueblo and Acoma Sky City. Early in the trip we attended the Gallup Inter-Tribal Indian Ceremonial and I was presented with the opportunity to do what I do best and create stunning portraiture with some of the powwow dancers. I spent a lot of time on the last day of the powwow working with Calvert Dixon from the Navajo Nation and together we created some of the most powerful imagery I have ever shot. I remember saying to Kim when we departed the powwow that there was no need to shoot any more people images, as I knew the Calvert series was extremely powerful. After arriving back in Australia I set about the task of archiving the new digital images into the Native America: Dinetah to the Greasy Grass 2008-2013 collection. On a personal level it was a job now finally completed. The fact that I was still in the land of the living never mind shooting new and vibrant imagery made me laugh out loud on more than a few occasions. A few months after completing the archiving I received a phone call from Katerina Cvitkovic at St. Vincent’s Hospital asking if I would consider exhibiting my new collection as part of their Healing Arts Program. The timing was right and I agreed to exhibit a selection of images from Native America: Dinetah to the Greasy Grass 2008-2013 for five weeks during the months of January-February, 2014. The exhibition was once again well received much like the twenty-five year Great Plains film retrospective in 2008. And the positive feedback from doctors, nurses and patients passing through level four was pleasing to say the least. I tried a different approach regarding my media for this exhibition and I once again personally introduced myself to business owners, managers and staff in the suburbs that surrounded the hospital handing out litho quality invitation cards and yes the front cover image had a Jack Little book quotation printed next to it. It was great fun and we raised some decent money to help the art committee continue to purchase some high-end artworks for the hospital’s public spaces. I was also pleased with the response from local community radio stations and I made myself available on numerous occasions to give interviews regarding the images that were on display and that the Healing Arts Program was a great way to help long term patients with their rehabilitation. St. Vincent’s Hospital has twenty-four exhibitions on two levels each calendar year and it is one of Sydney’s most dynamic art spaces. It was a joy and a pleasure to exhibit for a second time at the hospital. I never once thought as I slowly crawled step by step up the ward in St. Vincent’s Private days after the operation in early December, 2012 that I would have made it out to the Southern Great Plains seven months later. And to have been so creative with my imagery was such a bonus. Hanging an exhibition at the public hospital only four months after returning from the United States was one of my proudest moments as a working artist. It meant I was still really alive and as always passionate about my Native American images, the journey and sharing them with the general public hoping to inspire and educate along the way.